The seaside tennis club includes 10 clay courts, renovated each spring. 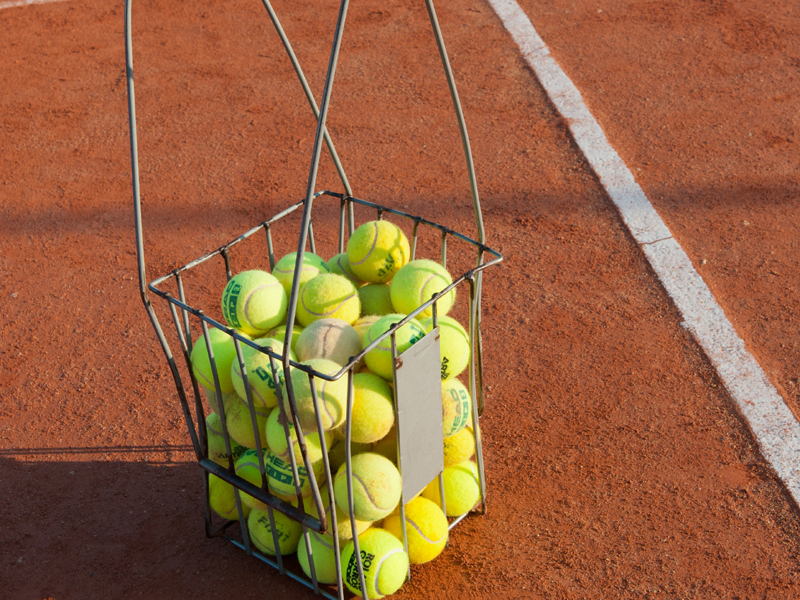 As its maintenance is more complex than for other courts, the City of Deauville has recruited, among its technicians, a specialist having worked at the Roland Garros. 2018 novelty: an "all-time clay court", a synthetic court covered with natural clay, which can be used all year round. 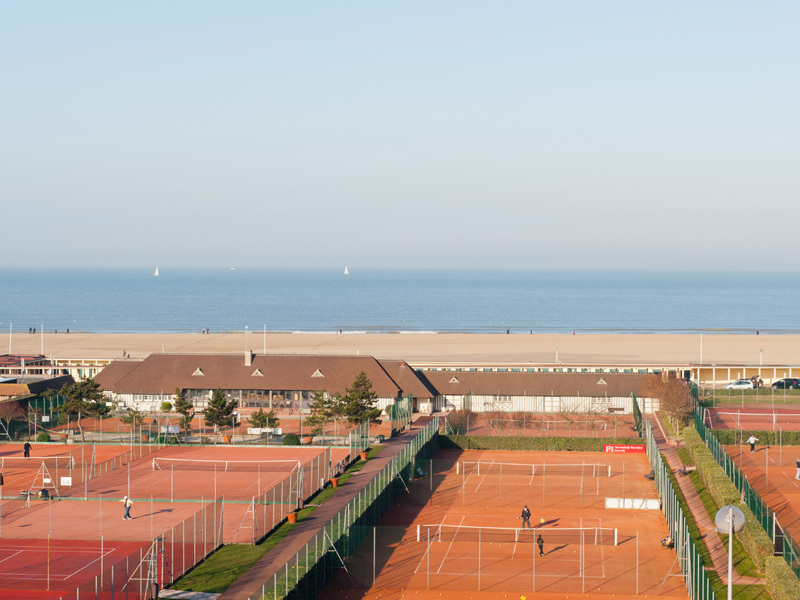 The tennis club of the municipality is situated near the Boardwalk, between the Hôtel Normandy and the sea. 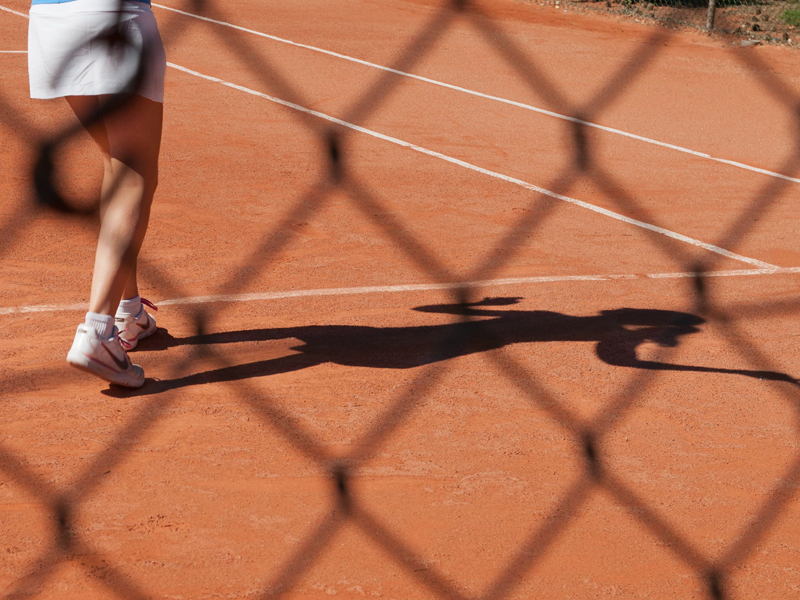 Not fewer than 19 tennis courts are awaiting for your volleys and your smashes in the municipal tennis courts! In this area, maintained all-year-round by the Employees of the Town, tennis lesson are given by a team of teachers, up to eight in summer. 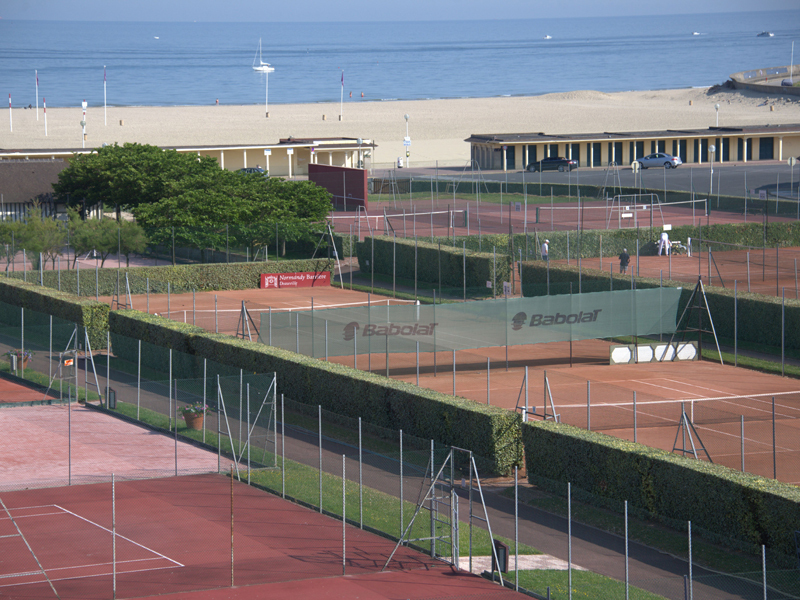 The tennis club of the municipality is situated near the Boardwalk. People have been playing here from the beginning of the century. 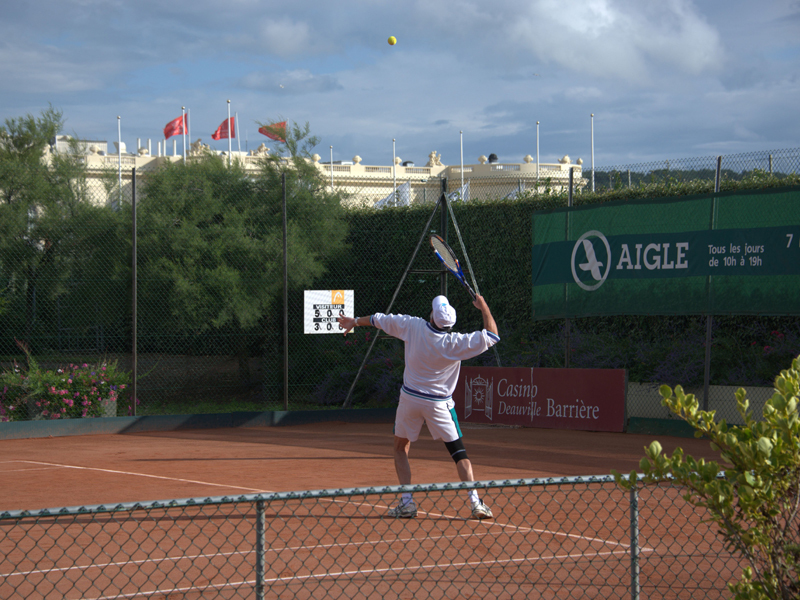 It is equipped with ten clay courts, the favourite ground of players. The club also has four Classic Clay courts, synthetic grounds that may be used all year long with a playing quality that is very similar to clay grounds. You can also play on one of the five hardcourts, including 3 Quick courts and 2 Resisoft (acrylic resin) courts. 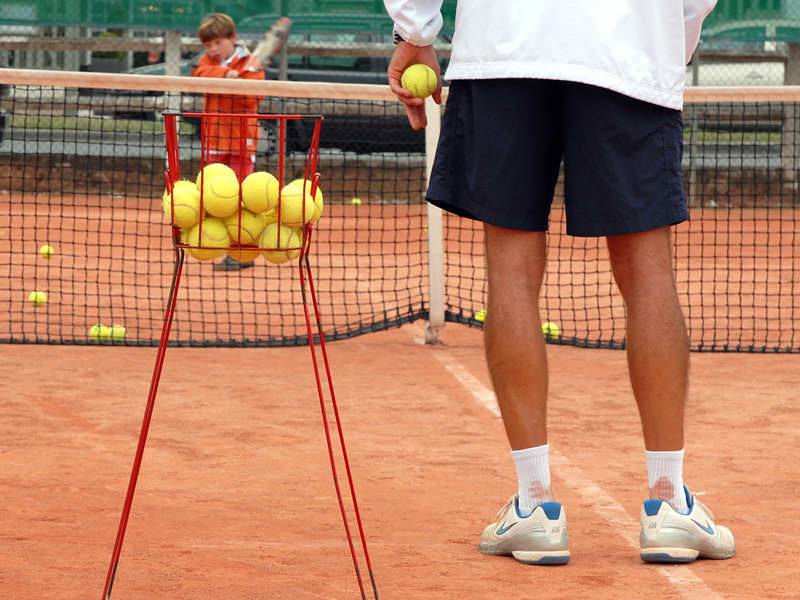 You can reserve a tennis court or take individual lessons with one of the eight tennis professors. During the school holidays of the C zone (Paris), courses of different levels are proposed for children from 5 to 18. Each session is limited to six participants so that people can really benefit from it. Close to the reception, you can find the tennis restaurant, Le Tide Break, equipped with a large terrace, is the perfect place to have breakfast or have a drink. In winter, people also like staying close to the fireplace.